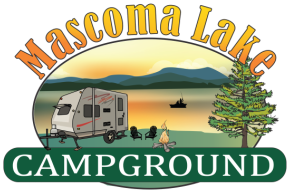 Seasonal: Please call (603) 448-5076 on availability and pricing or email us. Deposits are required when you make your reservation. Pets are welcome! Please have their current rabies certificate with you. All cancellation and late changes shortening a reservation are subject to a $20 fee. Nightly Cancellations (other than holidays) must be 14 Days prior to the beginning of the reservation period, minus $20 cancellation/late change fee. Week long stay deposit are refundable with a 30 day notice prior to the beginning of the reservation, minus the $20 cancellation/late change fee. Month long stay $200 deposit are refundable with a 45 day notice prior to the beginning of the reservation, minus the $20 cancellation/late change fee. Military discount of 10% with military ID (One discount per stay) nightly and weekly stay. Check in is 3:00p.m. ; Check out is 12:00 p.m. Rental checkout is 11:00 a.m.